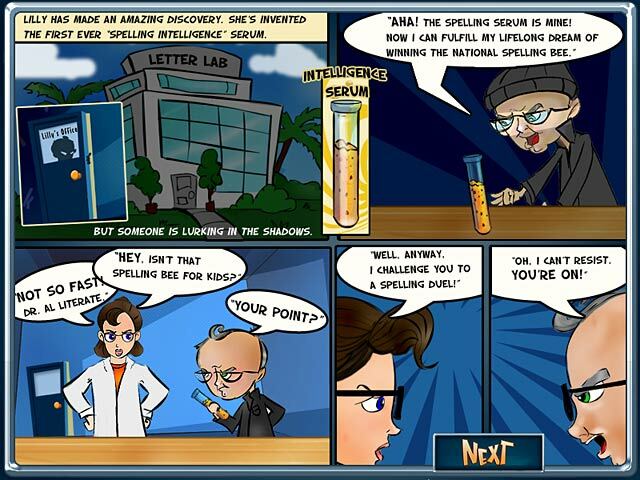 Lilly has invented the first ever spelling intelligence serum, but the evil Dr. Al Literate wants to steal the formula. Help Lilly match wits with the doctor and foil his plan to win the national youth spelling bee. 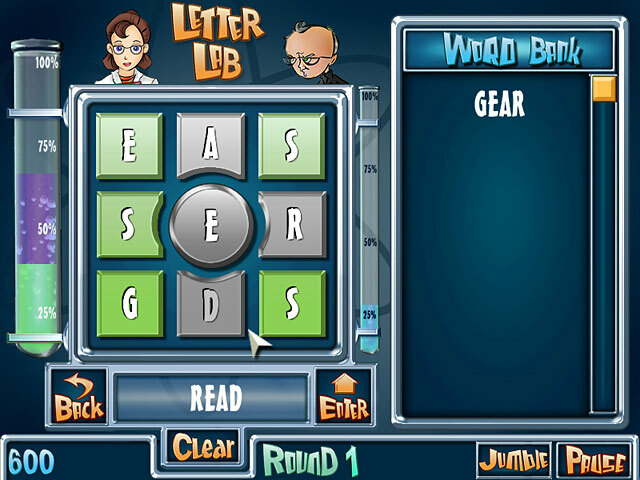 Test the alphabet formula in the Letter Lab with two distinct modes. Use nine letters to create as many words as possible in this funky, arcade-style word game. 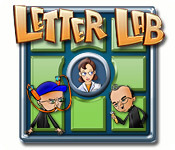 Letter Lab is rated 3.0 out of 5 by 3. Rated 5 out of 5 by meme2222 from Good word game with enough options to fit your style The best thing about this game is it has a variety of skill levels. You can play easy, medium and hard. It is sure to hit your level of challenge with those options. Also you can play against your opponent Dr. Al Literate in which you have to beat him by making words before his test tube fills up. The bigger your word the faster your test tube fills. You can also play in relax mode. Take your time to make enough words from a set of letters anagram style, only rule is you use center letter in word. This gives you the most freedom in making words because you don't have to use adjacent letters. Rated 3 out of 5 by LMachpherson from Not very exciting It was the same thing level after level, and not that challenging. I'm glad I just tried the demo, as after 15 minutes I was done. Rated 1 out of 5 by Dances78 from Was this game made for children, only? I am a word game fanatic and this is one of the most boring word games I have ever played. I bought it before playing it and was very disappointed in it. There is no challenge to it. 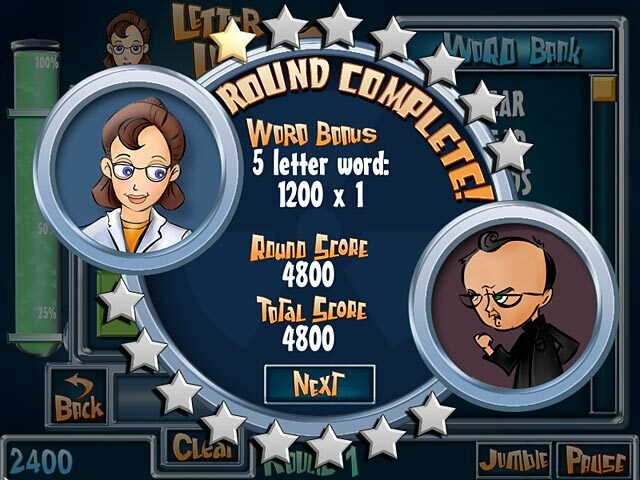 Help sweet Lily outwit Dr. Al Literate by spelling words with her intelligence serum, a scientific marvel.